Arcen Game’s newest roguelite title, Bionic Dues, is more than just a good time: it’s a robot-guard slaying, mech personalizing, grinding-for-loot perfect way to spend an evening attached to the keyboard. We were able to get some quality hands-on time behind the wheel of the small team of Exos, the game’s specialized mechs, and it was a very rewarding and in-depth experience. The campaign is set in an unnamed futuristic city that has been taken over by robots and you have fifty days to keep your HQ safe, complete randomly generated missions to find numerous upgrades for your Exos, and make a dent in the technology and numbers of the final robot army that will attack the city at the end of the fifty days. 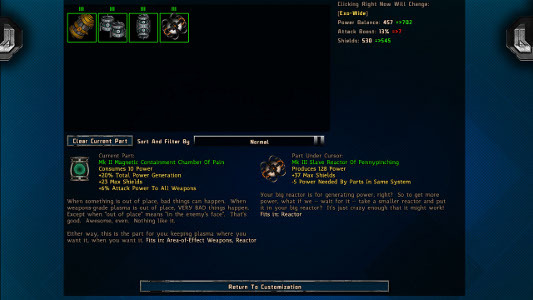 As an Exo pilot, you get to choose a party of four units from six different mech classes. These classes are Tank, Brawler, Assault, Science, Sniper, and Siege. Classes operate in a logical role that befits their title: Brawlers are great at close-quarter combat while Snipers do the most damage from further away; Assault Exos deal lots of damage while Science Exos are best used to hack doors to get more upgrades for your various mechs. There are a ton of different mechanical upgrades that allow you to further specialize your team of Exos. You can use them to increase the ammo capacity of your assault Exo or provide your science Exo with the ability to hack more doors in the different missions. 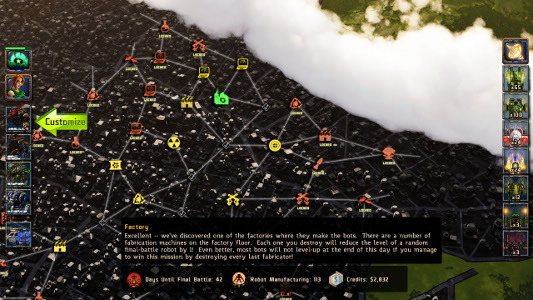 Combat is typical of any top-down, tile-based rogue game that features turn-based fighting. Our favorite aspect of Arcen’s design, the combat was done so well that we found ourselves rushing through personalizing our team simply to get back to the amazing action. The individual turns of both your own Exos and the forty different types of enemy bots are so smooth that you will even forget that it is turn-based. This is wonderful because it is even fun for gamers who are not crazy about turn based combat systems; you can speed through the various missions run and gun style or take your time and strategically dismantle the defenses of each location. Arcen Games has really brought the best out of some the game systems that they employ in their titles with Bionic Dues and it is awesome to see many of their design philosophies about turn-based combat, top-down art and tile styles, and in-depth settings come together to create a great experience. 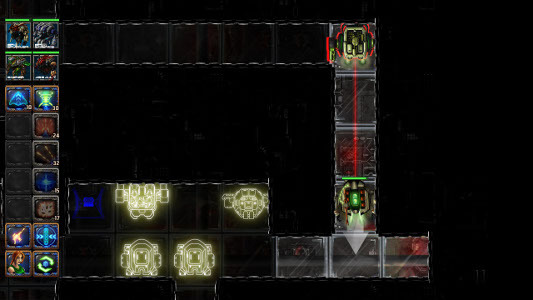 Bionic Dues released October 8th 2013 on Steam, GoG.com, and www.arcengames.com.